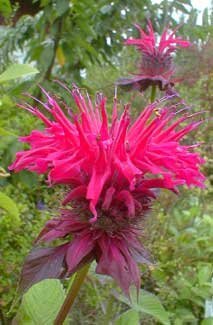 (PBERG)~"RASPBERRY WINE" BERGAMOT~Seed! !~~~~Fragrant Pink Beauties!! Product prices and availability are accurate as of 2019-03-30 00:54:29 EDT and are subject to change. Any price and availability information displayed on http://www.amazon.com/ at the time of purchase will apply to the purchase of this product. 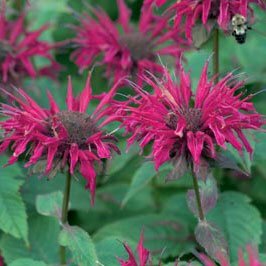 ***BERGAMPerennial)(Zones 3 to 9) "Raspberry Wine" variety (Monarda didyma) 10+ seeds/package. 2-3' tall. Very hardy. Tall, feathery staffs of lovely pink blooms! Attracts butterflies. Known for it's antiseptic qualities, it can also be steamed for cold relief & eaten for nausea. What a wonderful addition to your perennial garden. Very fragrant & mildew resistant. ~~~LEVEL of EXPERIENCE NEEDED FOR THESE SEEDS: Moderate Experience~~~ I am a Master Gardener from Wisconsin (ZONE 4) & I want to share many of the perennials, annuals, herbs & veggies from my 3rd generation, organic yard with you. Many of my plants are heirloom varieties that have been on the property since 1940 when my Grandfather built the house. Many I do not have the true name for, just what has been passed down from Gramma, to Mom, to me. I owned my own greenhouse for 13 years & I will give you step-by-step planting directions with each purchase for the gardening amateurs. I gear my sales towards the common gardener, small scale, but I do have a couple "Bulk" for larger scale enthusiasts. 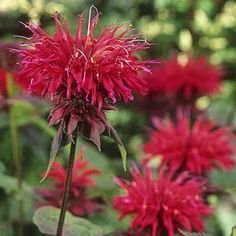 ***BERGAMOT*** (Perennial)(Zones 3 to 9) "Raspberry Wine" variety (Monarda didyma) 10+ seeds/package PAY SHIPPING ON 1st SEED PACK...ALL OTHERS SHIP FREE!!! !